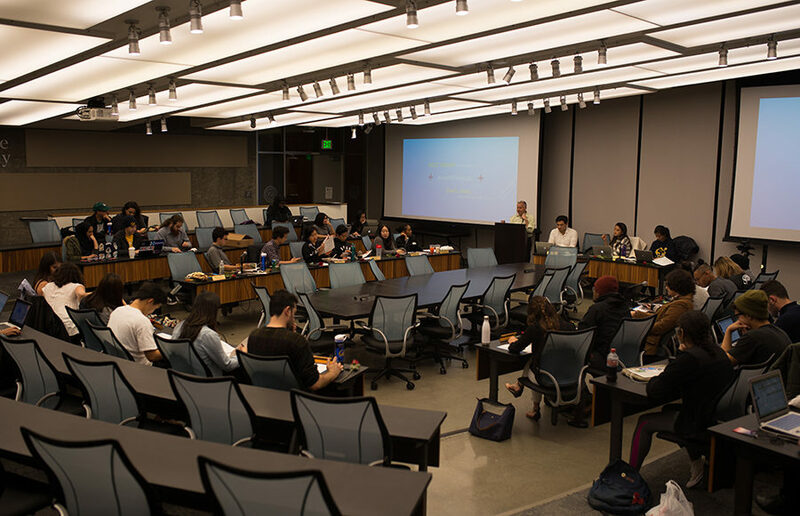 ASUC senators left the senate chambers on two separate occasions at Wednesday night’s meeting to discuss funding for Berkeley College Republicans, as well as the bridges Multicultural Resource Center, an organization that aims to recruit and retain students of color. 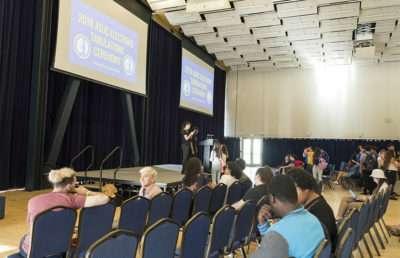 Senator Rizza Estacio proposed a resolution that would reallocate all of the Berkeley College Republicans’, or BCR, funding to the Black Student Union, or BSU. A second resolution would cancel funding for the bridges Multicultural Resource Center, or bridges. 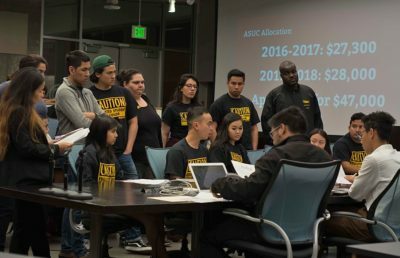 The senate will make a decision on these resolutions next Thursday at the final ASUC meeting of the semester. Estacio said BSU is in need of additional funding and that BCR’s behavior during events such as Free Speech Week was inconsistent with school policy. 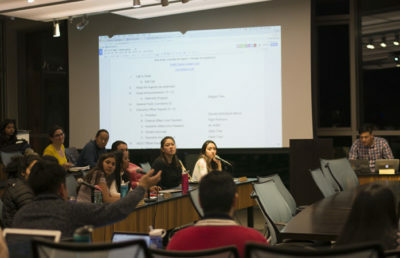 The other resolution would withhold funding from bridges in light of the passage of the Student Transformation through Academic Recruitment and Retention, or STARR, referendum earlier this month. The organization will not receive the funding until next fall, however, because the STARR referendum will begin in fall 2018, according to the referendum’s text. The main issue with the bridges resolution is that it was submitted Monday, according to AbdulQadir-Morris. She added that resolutions have to be on notice for at least a week, except in an emergency — the senate discussed the legality of considering the resolution in the meeting, leading to a second recess. Chancellor Carol Christ also made an appearance at the meeting to discuss her plans for housing, tuition and undocumented student safety, among other issues, after she postponed her senate visit earlier this semester. Dominick Williams, EAVP legislative director, said he was disappointed in the way the bridges resolution was handled.